The new year is always a great time to re-evaluate and assess your business journey as a photographer. As 2019 begins, you can only hope that this year will be better than the last, especially in terms of your business. There are definitely many things you can do to ensure this. In this blog post, we will discuss why you need an online booking system for photographers and how it can help you achieve your goals for the new year. Let’s get right to it. A great way to start off the year is by organizing yourself. An online booking system for photographers will help you achieve this in no time. The system gives you various tools to help manage your schedule and become more aware of your work hours. For example, a good system will give you color coordinating options for your schedule. Color coordinating has been proven to aid in organization and help remember things easier. Overall, your system will have all of your appointments and anything related to them stored in one place. You won’t have to look far to find what you are looking for. An online booking system for photographers will help you reach a large group of new clients in 2019. For example, you can integrate a “book now” button directly onto your Facebook business page. This will serve as a “call to action” and make it easier for potential clients to quickly and easily book an appointment with you. They won’t have to look for ways to contact you. Upon clicking, they will be swiftly redirected to your booking page. Save yourself a lot of time by automating certain features. Your online booking system for photographers can automate reminder messages. For instance, if your customer books an appointment with you on a certain time/day, your system will automatically send them a reminder, via text or email, that they have an appointment to attend. This will make sure that the number of no-shows is decreased. Also, it saves you a lot of time, in terms of contacting your clients, one by one, manually. It may not seem like it requires a long time, however, it does accumulate, and you can definitely use this time for other purposes. You and your customers will benefit from installing an online payment option. Online payment is easy, reliable, and fast. Your customers will appreciate the ease of paying with a credit card, and you will have your finances more organized. Also, here is a trick. You can authorize your system to charge a no-show fee on clients who fail to make it to their appointments (those who do not show up without prior cancellation). This will compensate for your lost time. 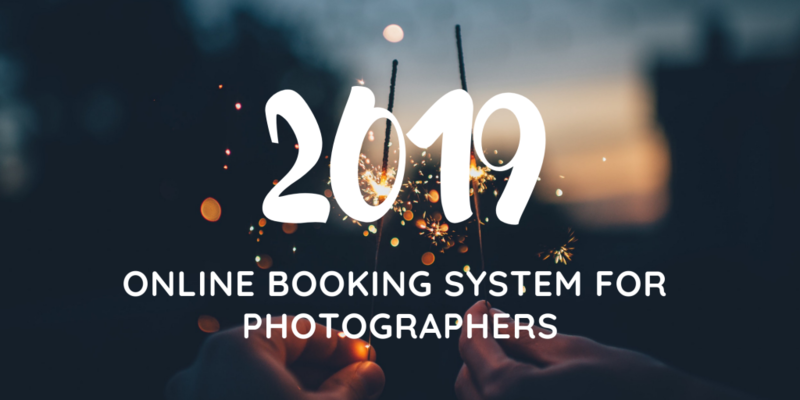 In this blog post, we discussed how you can use an online booking system for photographers to help you in the new year. Make sure you get familiar with all of its features because some can really take your practice to the next level. Get started today with a free trial. Completely free for 30 days. Sign up in seconds, and start accepting online bookings from your website in minutes. Try it FREE for 30 days. No credit card required.